IT organizations are adopting more Mac® systems than ever before. In fact, IT admins are leveraging a wide range of non-Windows® solutions such as G Suite™, Amazon Web Services® (AWS®), Linux®-based remote servers, and more. Historically, the IT network was connected together via the legacy identity provider (IdP), Microsoft® Active Directory® (MAD or AD). Think of AD as the central nervous system, controlling both systems and users within a given IT environment. But, with so many changes to the modern IT infrastructure, is implementing Active Directory for Mac® and other non-Windows IT resources the right decision? When IT organizations first began adopting AD, the IT landscape was very different from the one we recognize today. Virtually all of the infrastructure in an IT network was on-prem and based on the Windows operating system. The result was that IT organizations quickly adopted Active Directory as their identity management system to tie users to their windows-based IT resources. But, as we know in IT, the only constant is change. As Macs began to emerge in organizations they presented a great deal of problems for IT admins. Active Directory struggled with managing users on any operating system that wasn’t Windows, including Macs, and there was not a GPO-equivalent for Mac endpoints. As a result, IT admins started to search for add-ons to Active Directory to help manage Macs. Soon, a cadre of enterprise-class identity bridges began showing up as tacked on solutions to AD to help solve the challenge of Mac management. 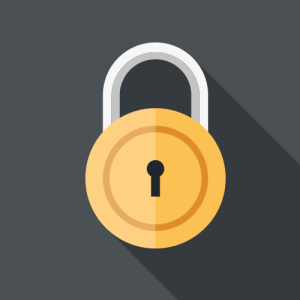 These add-ons were necessary because even one unmanaged Mac presents a security risk that sysadmins simply can’t afford to ignore. Unfortunately for IT admins, the changes to the IT network didn’t just stop with the addition of Macs. Linux systems started to become more popular in both traditional IT environments as well as DevOps outfits. The on-prem data center and colocation facilities shifted to AWS®, Google Cloud™, and other Infrastructure-as-a-Service (IaaS) providers. Web applications like Salesforce® and Slack started taking the place of on-prem applications and Windows file servers moved to on-prem NAS appliances and/or Samba file servers as well as cloud-based options like G Drive™, Box™, DropBox™, and others. Simply put, implementing Active Directory isn’t enough for most IT organizations in the face of all these changes. Even if it were that easy to simply implement AD for Mac, that would leave a lot of other solutions unmanaged. 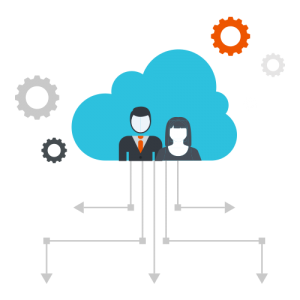 What IT organizations need is a cloud identity provider that can securely manage and connect users to their IT resources including systems (Windows, Mac, Linux), cloud and on-prem servers (AWS, Azure®, GCE), physical and virtual file servers (NAS appliances, Samba), web and on-prem applications that authenticate via LDAP and SAML, and the RADIUS protocol that helps to protect wired and WiFi network connections. That cloud-based directory is JumpCloud® Directory-as-a-Service®. JumpCloud Directory-as-a-Service was designed to work as an endpoint-centric, platform-neutral directory to help people Make Work Happen™. When the directory gets out of the way and simply allows IT admins to do their job without having to configure countless add-ons and sink hours into on-prem maintenance, both the admin and user win. The admin wins because s/he can implement more high-value initiatives instead of simply putting out fires when they occur. 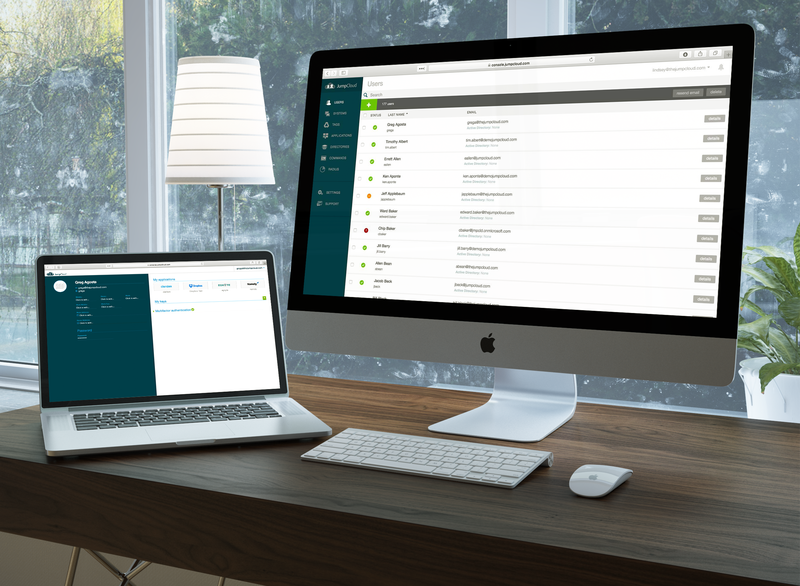 The user wins because Directory-as-a-Service was made to connect users to virtually all of their resources with True Single-Sign On™. Unlike traditional web app single sign-on (SSO) solutions, which work by extending AD credentials to cloud-based apps, True Single Sign-On connects users to essentially all of their resources regardless of whether they’re Windows, Mac, or Linux systems, from Google, AWS, or Microsoft, on-prem or in the cloud, or centered around one type of protocol or a variety. JumpCloud connects users to it all. 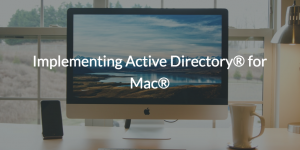 Instead of implementing add-ons to Active Directory for Mac, drop us a line to learn more about JumpCloud Directory-as-a-Service. If you just want to see the product at work, feel free to sign up for a free account that will allow you to manage up to 10 users for free, forever. If you simply want to learn more about Directory-as-a-Service, visit our Knowledge Base or our YouTube channel to see what JumpCloud can do for you.